Wondermum is the proud sole distributor/supplier of the Eco La Bassine & Birth Pool in a Box Birthing Pools in New Zealand. We have been working in partnership with SimplyBirth Australia since 2014 to bring you all the best in Professional Inflatable Birthing Pools and accessories. We are passionate about supporting our local home birth and water birth community by providing birth pool hire & water birthing products to Auckland and the rest of New Zealand. We supply both midwives & mum’s to be with quality products for home and water birthing. Our BIRTH POOL HIRE NZ service is the only New Zealand Birth Pool Hire that supplies Original fitted Non-Toxic Liners with every hire!! In 2015 we also secured the position of distributor/supplier of the Fantasic Mumanu Pregnancy Pillow range designed right here in NZ! Pregnancy health is key to an having an empowered natural birth and preparing for breastfeeding. It is with this aim in mind that we bring you a range of natural maternity products that we have researched and/or used ourselves. We here at Wondermum recognise that the time after having birthed your baby can be challenging, so we have put together tried and trusted post-natal health support products to encourage and support the new mother. All our products come with a stamp of approval from a qualified Naturopath/Nutitionist/Herbalist so you know you are in good hands! Wondermum’s AWESOME! natural maternity products for pregnancy, birth and beyond available on our site includes baby shower and new mother gifts, natural stretch mark cream & stretch mark oil, pregnancy pubic/hip pain support belts, body shaping belly wraps & post-natal hip compression belts, natural face skincare, natural body care, nutritional supplements, common pregnancy issues or complaint remedies, naturopathic consultation vouchers, and natural birth & labour preparation and support. I am Sindy, the Managing Director of Wondermum. I am a qualified Naturopath, Nutritionist and Herbalist specialising in Pregnancy, Birth & Breastfeeding Health. I have had the honour of birthing and mothering two beautiful babies. I am passionate about the well-being of mums and aim to assist expecting mums to have a healthy, empowering pregnancy and birthing experiences. Wondermum really started coming together when I was pregnant with my second child, focussed on a better, more empowering birthing experience; which I believed would be best achieved at home in a La Bassine Made in Water Birthing Pool. At that time there were not many options available to us for hiring a birth pool in Auckland, so we ended up buying our birthing pool. During this second birth I finally did manage to get in our birthing pool during my labour and I was not disappointed! The relief and calm that washed over me whilst in the water was immense. Now I understood why so many women swear by using a birthing pool as natural labour pain relief. After the birth of our son, I had friends ask if they could hire the La Bassine birth pool. We are still hiring birthing pools today! I have been in practice in the Natural Health Sector in Auckland, NZ since 2009. During and after both my pregnancies, I spent many hours researching natural ways in which to support my pregnant, birthing and post-natal body. I have since been using that knowledge to help other expectant mums in their quest for healthy pregnancies, healthy babies and better breastfeeding. It is our vision to bring together all of the knowledge to you here, with Wondermum, so that you too will have access to everything you may need to support your Health and Well-being on your motherhood journey in one convenient place! 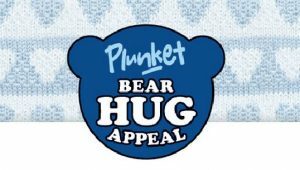 Did you know that we support Plunket?